Penthouse unit with 180 degree views and no adjacent building to obstruct the views is unique in its own way as it has beach views and Intracoastal views. Dock space and the largest garage at Catalina Grand. The condo itself is already huge but you also have 2 big balconies. The east balcony is 780 Sq Ft with a private swim spa and beautiful sunrises. 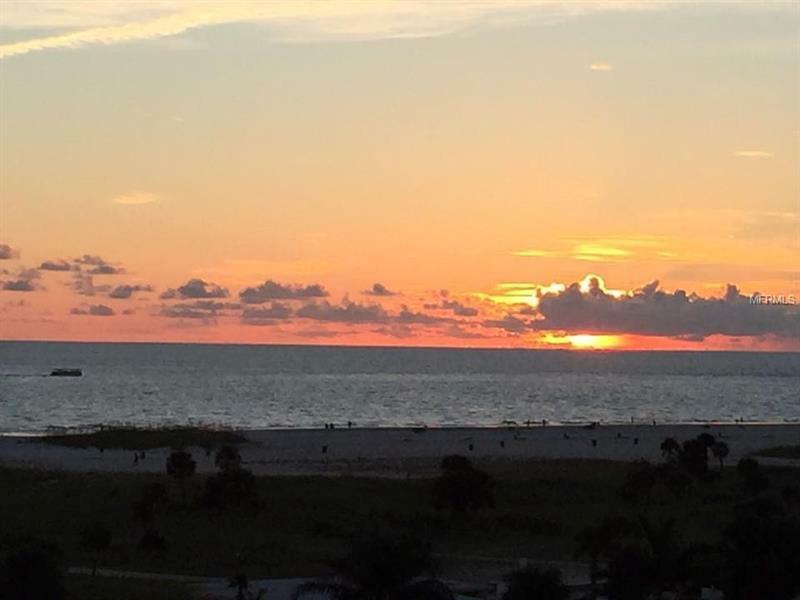 The west balcony is approx 222 Sq Ft with the best sunset views on the Gulf of Mexico. The open floor plan offers a large open kitchen with stainless steel appliances, granite counter tops and a huge breakfast bar. The enormous Owner Suite on the east side of the condo offers great views of downtown St Pete. You will not believe the size of the walk in closet, this is every persons dream and has custom build-ins. The big Master bathroom has a jetted tub and separate shower with body sprays, dual vanities and a private w/c. There are only 2 floors per unit and secure elevator access with fob providing extra security & piece of mind. It is close to restaurants, shops and cross the street and you are on one of the most gorgeous beaches or just hop in the boat from your boat dock and see the area from the water, it just doesn't get any better then this. This unique condo has a 5 CAR GARAGE which is almost impossible to find in condo buildings. Come take a look you won't be disappointed. Financing with only 5% down available for this unit, call me for details on this!! Please check out the video tour on this property.